I folded this two cute Santas to use as ornaments in my Christmas tree. 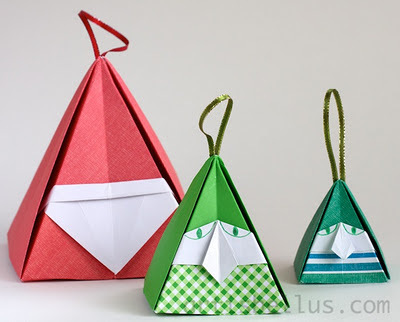 They are both relatively simple to fold and they look nice from all sides, something that is important for models that will be hung as ornaments in the Christmas tree. The Santa with sack and the chimney, on the left of the picture, required a little glue to hold the three pieces together. 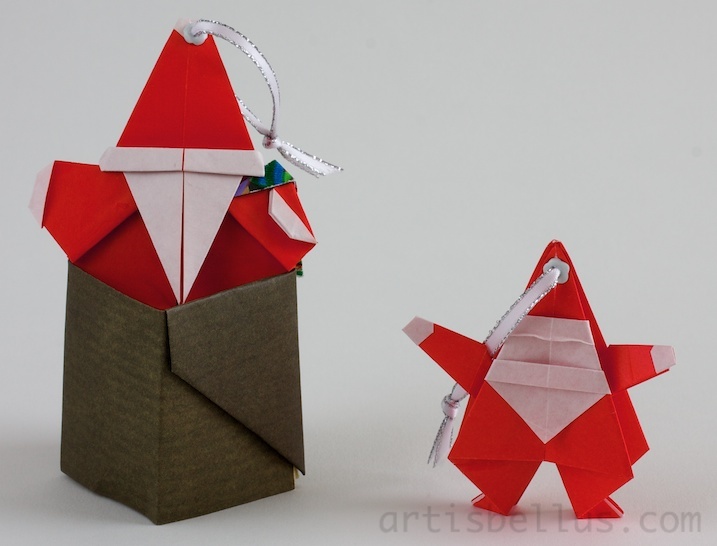 The Santa with sack was designed by H. Kumasaka; the chimney is a traditional model. 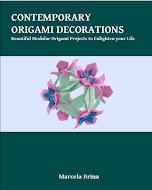 Instructions for both of them can be found in the book Ornagami . The Santa Claus on the right of the picture was designed by Linda Mihara and the instructions can be found in the book Easy Christmas Origami .